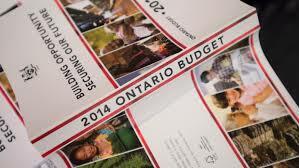 The latest Ontario budget is out this week. Whether the big spending promises are sustainable is the subject of much debate. But for those hoping to see the financial planner designation enshrined in law as a recognized profession, there is hope. “This is what we expected," said Cary List, president and CEO of the Financial Planners Standards Council. Following the 2013 Fall Economic Statement and a round of industry consultations in January 2014, the government seemed to recognize recommendations from FPSC and its partners in the Coalition for Professional Standards for Financial Planners, that the term “financial planner” be recognized as a professional designation. For over a decade and a half the FPSC has been working toward this goal.During the consultation period, members of the Coalition (which includes the Financial Planning Standards Council, the Canadian Institute of Financial Planners, the Institute of Advanced Financial Planners, and the Institute québécois de planification financière) The Coalition submitted a proposed framework for the official recognition of the 22,000 financial planners across Canada to ensure appropriate mandatory professional standards for financial planners are enshrined in law. As it is, some feel financial planners should continue to be regulated under existing insurance and capital market regulatory regimes. But List thinks this product-based approach needs to evolve to one in which planners are recognized for taking a holistic approach to wealth management. “We want to be careful. We don't create new levels of regulation…[But] we need to recognize financial planning as distinct from investment advisors, insurance advisors,” says List. "We are very much onside with the government on this. The language around a tailored approach to financial planning is important, as is the mention of the need for a panel of experts,” says List. Big spending promises aside, the new budget suggests the government is onside.